Royalty autographs, signatures, collectibles and memorabilia– almost always signed documents – vary in availability in accordance with how important the person was. Generally, significant reigns were not brief, and the leading figures in royalty had long periods of time during which to realize great accomplishments; accordingly, these royal figures signed many official documents. 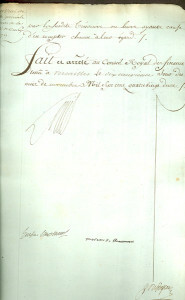 Except for countries where official documents were not saved, or were deliberately destroyed, such as Russia or, again as in the case of Russia, there was no commercial process by which the documents could be sold, availability for collectors today will depend upon how long the person was monarch. Age is not as big a determining factor of rarity as one might think. 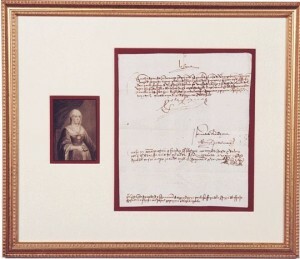 Queen Isabella I of Spain, the patron of Columbus, can be obtained in signed documents because a group of several hundred payment orders was discovered some years ago and came onto the market. 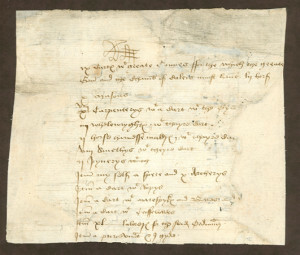 Documents signed by King Henry VIII of England can be found, though they are very rare. 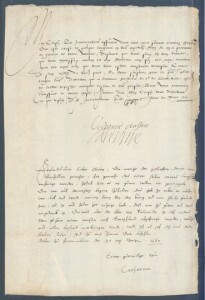 Queen Elizabeth I is very rare in signed documents and extremely rare in signed letters. 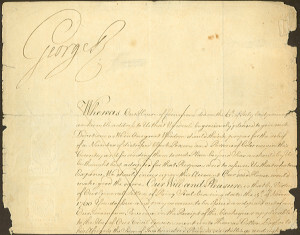 King George III had a long reign and signed a large number of official documents, many of which survive, and he is readily available to collectors today. 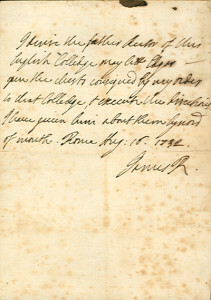 Queen Victoria is much more in demand than George III, but signed many official documents during her long reign and, therefore, can be found by collectors. 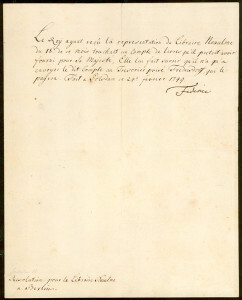 One of the most important monarchs of the Renaissance, Francis I of France, can be obtained in signed documents, though they are not common, and King Louis XIV and King Louis XVI, both important monarchs, can also be found in signed documents. 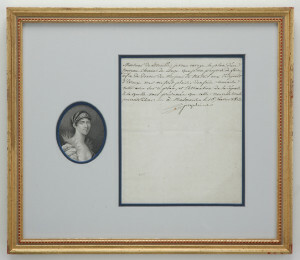 Queen Marie Antoinette is rare in signed documents and very rare in signed letters. 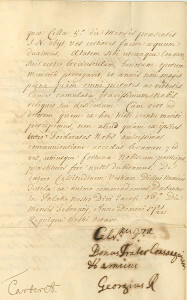 Surprisingly available are signed letters by Frederick the Great of Prussia, whose detailed involvement in military affairs provided opportunity for him to sign many letters. Catherine the Great has been in much greater demand since the emergence of Russia in the Western world and the growing interest of Russians in collecting their own history. 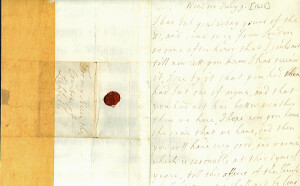 She must have signed many documents as Czarina, but they are rare. 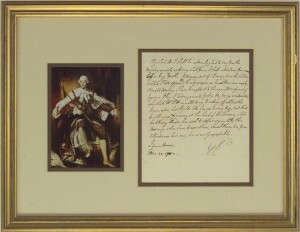 Complete collections of royalty autographs, signatures and signed pieces of monarchs of different countries are extremely difficult to achieve because, in each country, there have been monarchs with extremely brief reigns who held no previous positions that caused them to sign documents or sign letters. Please browse our selection of royalty autographs, signatures, collectibles and memorabilia or you may search our entire inventory alphabetically, by name or by category.